Since 1963, a new structural system of framed tubes appeared. Fazlur Khan and J. Rankine defined the framed tube structure as “a three dimensional space structure composed of three, four, or possibly more frames, braced frames, or shear walls, joined at or near their edges to form a vertical tube-like structural system capable of resisting lateral forces in any direction by cantilevering from the foundation.” Closely spaced interconnected exterior columns form the tube. Horizontal loads (primarily wind) are supported by the structure as a whole. About half the exterior surface is available for windows. Framed tubes allow fewer interior columns, and so create more usable floor space. Where larger openings like garage doors are required, the tube frame must be interrupted, with transfer girders used to maintain structural integrity. Tube-frame construction was first used in the DeWitt-Chestnut Apartment Building, designed by Khan and completed in Chicago in 1963. It was used soon after for the John Hancock Center and in the construction of the World Trade Center. A variation on the tube frame is the bundled tube, which uses several interconnected tube frames. The Willis Tower in Chicago used this design, employing nine tubes of varying height to achieve its distinct appearance. Fazlur Rahman Khan is from the village of Bhandarikandi in Shibchar Upazila, Madaripur District, Dhaka Division. He was born on 3 April 1929, in Dhaka. His father, Khan Bahadur Abdur Rahman Khan, BES was ADPI of Bengal and after retirement served as Principal of Jagannath College, Dhaka. Khan completed his undergraduate coursework at the Presidency College, Bengal Engineering College, University of Calcutta (Now Bengal Engineering & Science University, Shibpur). He received his bachelor’s degree from the Engineering Faculty of University of Dhaka (Now BUET) in 1951 while placing first in his class. 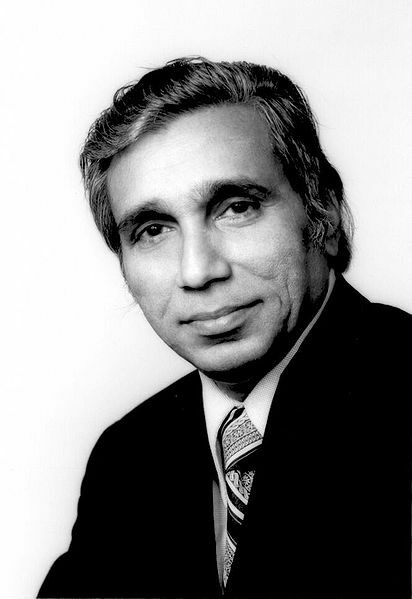 A Fulbright Scholarship and a Pakistani government scholarship (as Bangladesh was East Pakistan then) enabled him to travel to the United States in 1952 where he pursued advanced studies at the University of Illinois at Urbana-Champaign. In three years Khan earned two Master’s degrees — one in structural engineering and one in theoretical and applied mechanics — and a PhD in structural engineering. In 1955, employed by Skidmore, Owings and Merrill, he began working in Chicago, Illinois. During the 1960s and 1970s, he became noted for his designs for Chicago’s 100-story John Hancock Center and 110-story Sears Tower, the tallest building in the world in its time and still the tallest in the United States since its completion in 1974. He is also responsible for designing notable buildings in Bangladesh and Saudi Arabia. Fazlur Khan’s personal papers, the majority of which were found in his office at the time of his death, are held by the Ryerson & Burnham Libraries at the Art Institute of Chicago. The Fazlur Kahn Collection includes manuscripts, sketches, audio cassette tapes, slides and other materials regarding his work.